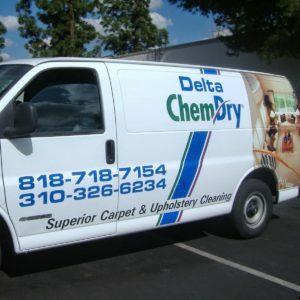 Delta Chem-Dry Carpet & Upholstery Cleaning is an independently owned and operated franchise by Joe Saad. With his guidance, we have built a reputation for excellent customer service and superior cleaning. We have been serving residential and commercial customers with superior carpet and upholstery cleaning throughout the San Fernando Valley area since 1989. Our customers love us and the results speak for themselves. Eventually, Robert Harris, discovered his ideal cleaning formula. His unique carbonated solution delivered exceptional cleaning and was also safe and non-toxic. Harris founded Chem-Dry and soon the demand for his superior cleaning services grew exponentially. His entrepreneurial journey blossomed into a thriving success that has continued to grow since those first days in the early 70’s. From the very first small group of franchise locations, the original Chem-Dry network has expanded over recent decades to offer thousands of successful franchises throughout the world, including Delta Chem-Dry here in Los Angeles, CA. We also serve Los Angeles and Santa Monica.